With Google's big Nexus event going on today, the occasion has presented an opportunity for Android device makers to reveal their plans for Android 6.0 Marshmallow. HTC exec Jason Mackenzie has gotten the ball rolling by offering some information on when its customers can expect to see the new software. Per a recently-posted tweet, it looks like the HTC One M8 and M9 will be joining the party before the close of 2015, with several other devices set to be shown some love in 2016. As you can see, the small print adds that "not all carriers in all regions will have completed the roll out before the end of 2015," so if you do own either handset, don't be putting that champagne on ice just yet. Mackenzie gleefully claims in his tweet that his company will be "serving up Marshmallow sweetness real soon." Just how soon 'soon' is, though, we'll surely discover as the release unfolds. As the eagle-eyed among you will have spotted, several other handsets will make the cut at some point in 2016, including the One M9+ and the Desire 826. There's no precise release bracket as yet, but if the M8 and M9 can be seen off before the year's end as intended, there's every chance that some of those devices could see Marshmallow this side of next spring. 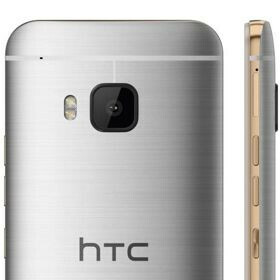 The rumored HTC One A9 'Aero', meanwhile, which looks set to be announced on October 20th, will likely run the latest flavor of Android right off the bat. Desire 816??? Yet no HTC One M7??? Lol nvm XDA is there for us. Blah blah blah, when Carrier are involved throw all hard or estimated dates out the window. Until Samsung and others (Google primarily) tell the carriers to get out of the way then don't expect Marshmallow goodness . Fortunately Google has been decoupling things from the os and placing them on the Play store in a move to now make the os downloadable right from the Play store. This is the only hope we have of bypassing the carriers completely with Os updates. Hopefully Marshmallow keep the momentum that started with lollipop headed in that direction till that end goal. I would expect carrier devices in the US to be 2-4 months behind the oems if it's anything like lollipop. And the carrier flavors are good at introducing new bugs and dropping half of the features. Liking the idea more and more of nexus and moto phones, sans carrier. With contracts going away, it doesn't make sense to me to pay full prices for a phone bloated and chained up in the dungeon of a carrier. Yes, I'm venting a bit while typing this on my Verizon LG G3 using 5.0.1 that no longer streams Bluetooth audio to my Pioneer aftermarket car stereo since the update to L.